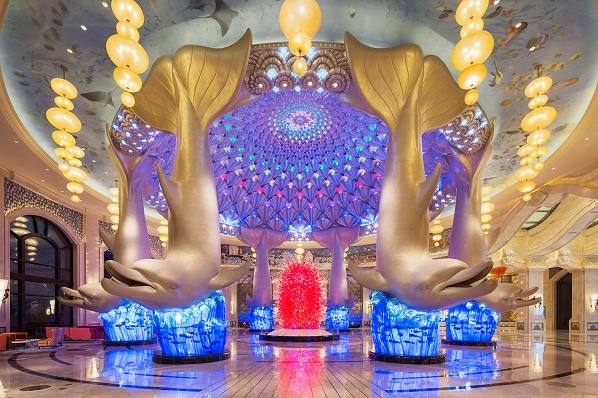 Chimelong Hengqin Bay Hotel, the largest ocean ecological theme hotel in China, was built with the corporation of the world’s leading architects, interior and landscape designers, together with a total construction area of 300,000 square meters occupied. 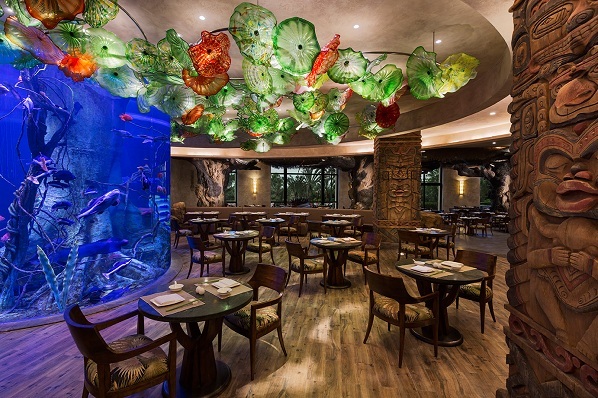 As the property is nominated for the title of World’s Leading Themed Hotel at the World Travel Awards, Breaking Travel News here takes a tour. 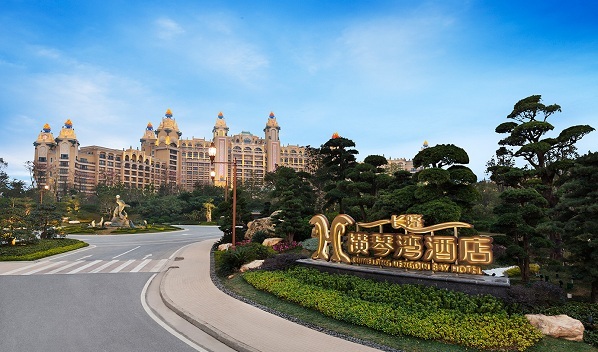 Located at Chimelong International Ocean Tourist Resort, part of the Hengqin New District, hotel is only a five-minute drive from Hengqin Port, connecting Zhuhai and Macau, while a 45-minute drive from Jiuzhou Port, where guests could take the ferry to Hong Kong. The hotel’s 1,888 well-appointed, spacious guestrooms and suites (starting from 45 to 1,100 square meters), are thoughtfully designed to contribute to the comfortable and gorgeous ambience. Up to 14 room types decorated with full of marine elements and equipped with a range of modern amenities as well as a spacious balcony, all our guestrooms are designed as the ultimate ‘Ocean Palace’ and boast picturesque views of either the South China Sea or the impressive landscaping. Specially designated Club Floor includes the Club Elite which offers complimentary breakfast buffet and evening cocktails. The Club Floor’s other features include private check-in and check-out facilities as well as complimentary access to a private meeting room. Hotel features a wide range of dining facilities, providing Chinese, Western, Japanese, and Asian Cuisines. The well-equipped event space includes two ballrooms covering 3,000 square-meters and 1,200 square-meters, along with 26 multi-functional meeting rooms. Outside of the hotel are the stunning views of surrounded landscaping, Dolphin Pool, Outdoor Swimming Pool, Artificial Beach and Water Park, with the magnificent ocean serving as a dramatic backdrop. Adjacent to the world-class themed parks - Chimelong Ocean Kingdom and Circus City, hotel is the perfect MICE or holiday destination in China. Take a look at the official website for more information on visiting Chimelong Hengqin Bay Hotel.